We have previously covered a few useful points on selecting a Google Ads or Google Adwords Manager here, so I won't go over that again... We now jump to the part where you have made the decision to hire an experienced Adwords / Google Ads manager, and you are now getting things set up. I am writing this with the assumption that parts of the management such as tracking are in place. Before commencing your campaign, you need to be clear on what you are trying to achieve. Are you looking to increase business by 10%? 20%? 200%? Once you know and are clear on what it is that you are trying to achieve, your and your Google Ads manager will be able to start looking in to how to go about that. At this point, be clear on what you want. Also, be clear about your budget. Make sure they fit together; for example, it is ridiculous trying to spend $1000 per month, at $5 per click, and expecting an increase of 50 converted leads per month. So, at this point, you and your Google Partner, or Ads manager need to ensure that the maths add up. If you are expecting to make millions from hundreds in a competative market, you may need to have a serious think about you expectations. On the whole, most businesses are not going to make crazy profits any more. Adwords / Google Ads should be seen as part of your overall marketing strategy, not a get rich quick scheme! Understand this straight from the start. Google Ads are useful, in almost all cases will generate qualified leads, but are NOT GOING TO PERFORM MAGIC ON YOUR BUSINESS. Once you have identified your budget, stick to it! It is near impossible as an Ads Manager to show results if the budget changes around every few days. Be sure on how much you want to spend. Write it down. Stick to it! Make sure you actually have the money sitting there to pay Google, it is disruptive to a campaign to be suspended by Google due to lack of payment. Once the campaigns commence give it some time. It is rare for a Google Ads campaign to be perfect upon setup. There are negative keywords to discover, keywords to discover, ads to split test and more. If you change your focus after a week, or two weeks, you are wasting your time all round. On the whole, once to engage someone to run your ads campaign, don't move the goal posts! It will take some time to gather data and make your campaign efficient, be patient! It is important to bare in mind that a decent account manager will not just be trying to spend money to make you appear on the top of Google search, they will be focussed on RETURN ON INVESTMENT. That may mean not ever being at the very top! Be clear on what you want before you begin. Be clear on your budget, have it ready to spend. iEnhance was founded by Mark Edwards in 2007. Mark has directed and managed countless successful digital marketing campaigns since inception, including clients in advertising spaces such as Telecommunication, Holiday Letting, Business Brokerages, Real Estate, and Transportation, as well as numourous small businesses. Whilst budgets and campaign sizes can vary, Mark prides himself in the personal service that iEnhance still provides. Initially running with a strong Search Engine Optimisation foundation, iEnhance has evolved and now looks at a digital campaign holistically. 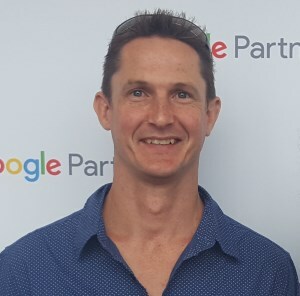 As a Certified Google Partner Mark has managed Search and Display campaigns in the Google network since the Google Partner program began and is now also Certified in Google Analytics, meaning that data and tracking is his thing.